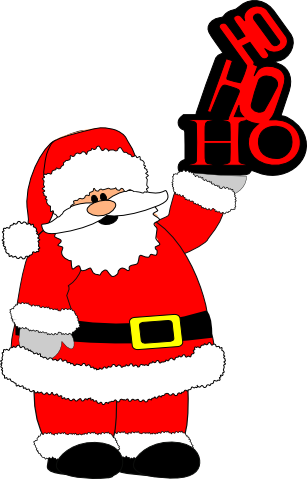 This week I decided to do my own Santa. I have looked for a freebie online of a Santa and couldn't really find one that would fit my layout so I made one...as usual. I also created a gift and a HO HO HO stack so that he could be holding either one. Not sure which one I'm going to use yet though. They both look pretty cut so maybe both!?! Be sure to import all the files and resize them together to look ok before cutting. I made this border/frame for my upcoming Halloween layout. I'm going to use is as a photo frame but it is set up to cut well as a 12x12 page border as well. Papercraft Star has challenges every week and I recently participated in one. I didn't win but it was sooo much fun to submit a layout for it. Their challenge this week is a "Simon Says" challenge. I don't really do cards but for this challenge I thought I would give it a try. I have to say, making cards is so much easier than scrapbok pages. I just might have to keep this whole card making thing going!! I found the flower cutting file over at "Little Scraps of Heaven Designs". To visit this awesome blog click here. I just thought I would share a layout I finally finished from my son's first birthday. He's now 18 months old....I know, I'm a little behind.....you have no idea!!! LOL. The only time I used my cricut on this was for the text. I just used punches, some embellishment that were given to me as a gift, and some torn paper. I think I need to work on something else just to get my Cricut/Make-the-Cut fix today. Enjoy. 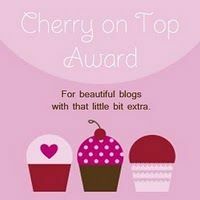 I received my first blog award today from Carolyn at Cutting Time. Now I must follow the rules and complete all the steps in acceptance of this award. Me follow rules??? LOL...I know, following rules is SO not me but these rules will be easy to follow since I'm so excited to receive the "Cherry on Top" award. 1. Thank the person who gave the award. Thank you so much Carolyn. I was very happy when I received this award. It made me feel like "Sally Fields" during an acceptance speech....you remember don't you?... "you like me, you really really like me". I at least I think it was Sally Fields...HA HA. 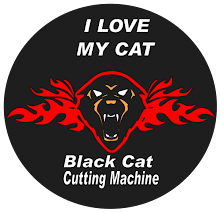 I visit the Cutting Time blog all the time. It's one of my favorites!! To visit Cutting Time simply click here. I know you'll enjoy visiting as much as I do. 2. Display the award on my blog. 3. Tell everyone 3 things you love. Family, Friends, and of course Scrapbooking!! I love this picture of my kids. I have the sweetest, most kissable kids so pretty much any picture of them is a favorite. I love this one though, and received an enlarged framed copy from MFA (My favorite Auntie) for Christmas and almost cried. 5. Pass the award to 5 other blogs. I visit all of these blogs on a regular basis for inspiration and I am never let down. Thank You!! My daughter came home from school yesterday and told me she needed book covers BY TODAY. She had an after school activity yesterday so I was pretty much on my own as far as getting the book covers she needed. I didn't really have time to go shop for some so, me being me, I decided to make them. They turned out very cute and she LOVED them. They are a sure step up from the old brown paper bag covers we used to make in school. I couldn't quite remember how so I followed a tutorial and made them from some plain, thick, white wrapping paper I had and then, of course, I scrapped them. It was FUN and EASY making these for her. This would be a great project to do with your child! I simply make the cover as shown in this tutorial: How to make a paper book cover. I used spray adhesive on some glittery scrapbook paper (from DCWV-All dressed up pack) and attached it on the finished book cover, trying to center it around the spine of the book and folding the overhang at the top and bottom of the cover. I cut some strips (about 1 1/2" wide) and my daughters name from some black vinyl. I attached the vinyl strips where the scrapbook paper and the book cover met just to hide the hard line there. On one of the covers I used a free svg file I found at EINNEJ. There are other great files there as well. I attached the vinyl flower border and the names and voila...they look really cute and there was no tape involved. They stay on really well and look great. 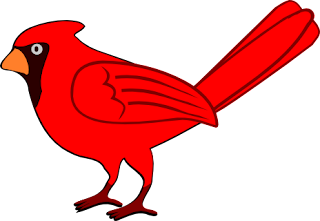 Here is the free cardinal svg I finished. This will look beautiful on my "Indiana" layout. This will also look beautiful on Christmas themed projects...maybe with some snow. I'm sure I will have multiple uses for this little guy. ..so here's a freebie for the upcoming season. Fall isn't my favorite season but it does remind me that Thanksgiving and Christmas are just around the corner. 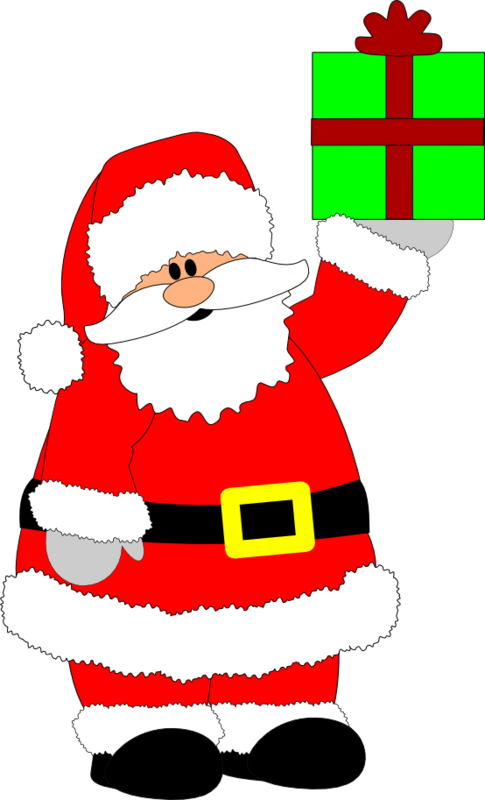 I can't wait to start my Christmas shopping!!! These make wonderful Jack-o-Lantern patterns for Halloween. 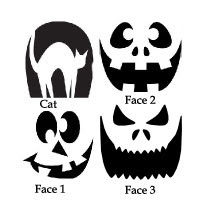 Cut them in vinyl, tranfer them with transfer paper, and simply cut around the design. They work great. For our jack-o-lantern I usually use a paper pattern but I would have to trace it. These cut in vinyl will eliminate that process. Of course, these could be used with paper as well. Happy Carving!!! We went to Indiana to see my family over the summer break. It was so good to see everyone. I am planning an Indiana layout for a scrapbook page of my visit. 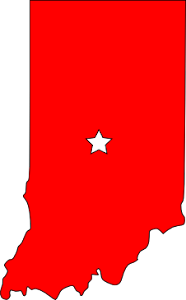 I created an svg of the state of Indiana and plan to work on a cardinal (the state bird) within the next couple of days. I'm sure I'll think of some other svg files that I will need once I get my layout in order. I tend to start with svg files that I would like to have on my pages and then go from there. I know many of you really don't need an svg of the state of Indiana but come back soon for a visit soon and I should have the cardinal finished! !